Do you consider yourself an audiophile? If you do, then you are familiar with Etymotic. If you’re not that interested in sound quality over musical content, then Etymotic will probably mean nothing, even though they’ve been around for over 30 years. In fact, Etymotic invented in-ear earphones for hearing testing, only later to be used for music listening. Although there have been periodic upgrades, the basic technology of their ER4 XR earphones has remained unchanged over all these years. The question is: Do they hold up in the ever-changing world of headphones/earphones? 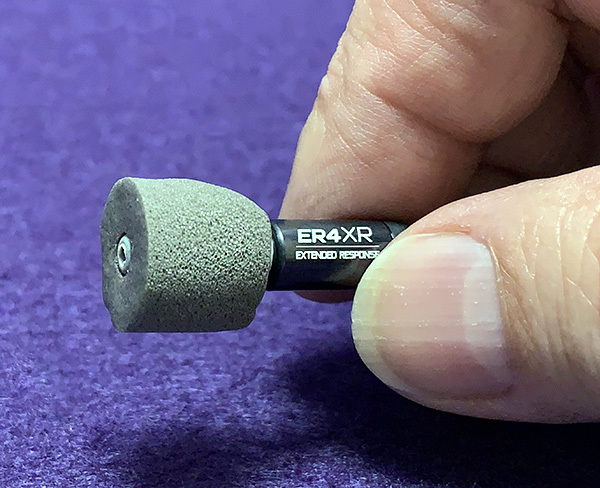 The Etymotic ER4 XR is a small (and I mean small) single-armature earphone designed to be extremely accurate, even if that might be off-putting for many. However, it’s this accuracy that audiophiles crave. I will explain what I mean in the Design and features section. Ear tips: 2 pairs standard 3-flange (1 set installed on the earphones), 2 pairs large 3-flange, and 2 pairs large black foam ear tips. According to Etymotic, the ER4 XR earphones were the first high-fidelity, noise isolating in-ear earphones to use armature technology. So what is an armature? Picture a normal speaker that you see everywhere. It’s round and it’s placed in a box of some kind. It vibrates when an electrical current is sent to it and that’s what you hear. That’s not an armature speaker, but a dynamic design. An armature looks nothing like a dynamic speaker. It’s a tiny, metal box-shaped element that uses magnets and such to make vibrations to make sound. Because it’s so small, it’s used in many hearing aids. The advantage (besides size) of armature is that this design is quite accurate at sound reproduction—usually better than dynamic. The disadvantage of armature is bass—or perceived lack of it. When I say perceived, I mean that bass is present, but it’s a more accurate bass that’s not overly enhanced. Here’s a tidbit: Most people like boosted bass in their music, even if they don’t know it or refuse to admit it. Heck, even I appreciate bass that’s been boosted just a bit. Armatures don’t boost bass—unless they are tuned to do just that. Music sounds closer to what the artist and engineers heard in the studio as opposed to what you might hear in your car. Note that this explanation is way oversimplified. Even though there are exceptions, for this review, I’m sticking to generalities. Up until recently, Etymotic earphones didn’t boost bass. That changed with the ER4 XR earphones. XR stands for Extended Response—extended bass. 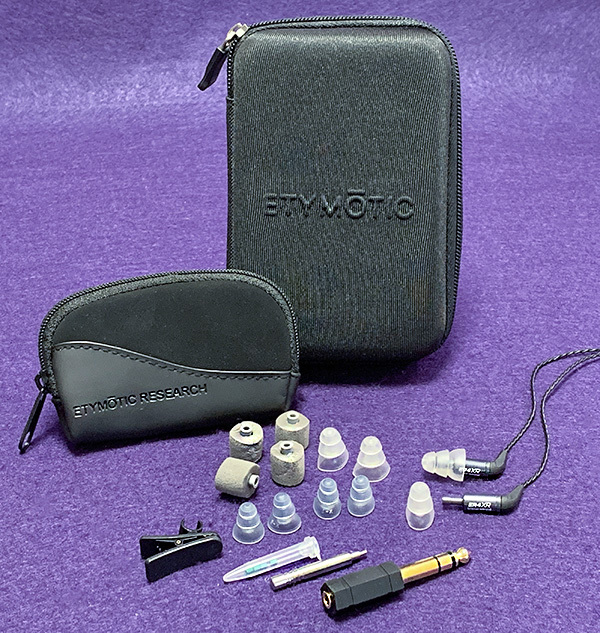 The ER4 XR earphones Etymotic’s top-of-the-line. Because they are so small and weigh almost nothing, you might think that that they simply can’t be worth what they cost. You would be wrong to think that. 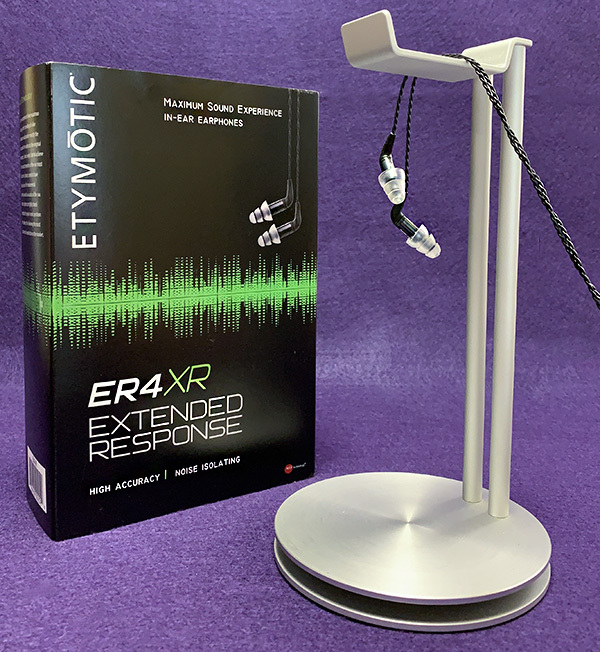 Etymotic goes a long way to ensure that what you hear with the ER4 XR earphones is what the artist intended—and that ain’t an easy thing to do. Armature speakers are difficult to design and manufacture, but Etymotic goes a few steps further. 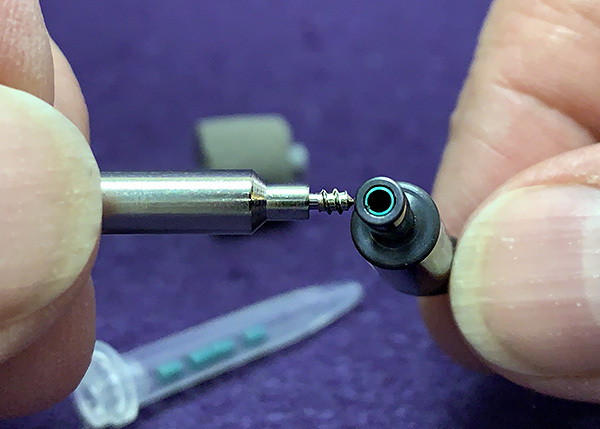 Each ER4 XR earphone is individually tweaked and matched to the other so that the left and right earphone are as identical as humanly possible. As a comparison, the ER4 XR’s less expensive cousin, the ER3 XR earphones don’t get this labor-intensive treatment. Can you hear the difference and is that difference worth the EX4 XR’s extra cost? That’s a tricky question. I will answer it at the end of this review. The ER4 XR earphones come with more accessories than other Etymotic earphones. Included are more ear tip choices. 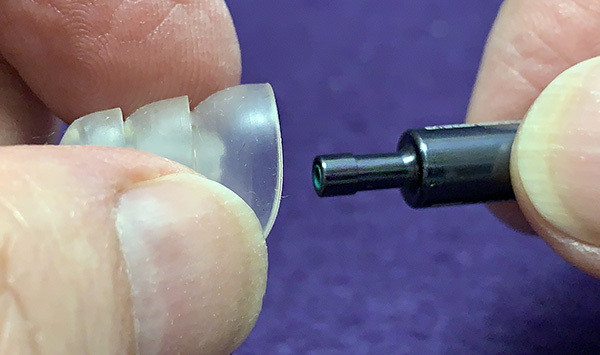 Along with different-sized silicone “tree-shaped” ear tips are old-style foam tips that need to be squeezed before being placed inside the ear canal where they then expand, almost totally blocking any outside noise. It’s eerie how quiet it is with foam tips. Keep in mind that this is passive noise canceling, not active—which requires batteries, circuitry and all kinds of audio tech. Passive noise canceling also does not change audio quality at all—unlike active. Also included is a large-ish hard case that will hold everything with room to spare. Inside the case are small zippered pockets that hold the ear tips, a shirt clip, a 1/8 in. to 1/4 in stereo adapter and a filter remover with 4 extra green filters. These filters are almost microscopic. Its purpose is to smooth out the frequencies and keep ear wax out of the earphone. There’s also a smaller soft case included for travel if the hard case is too big. You just won’t have room for anything other than the earphones. One newer innovation that Etymotic has incorporated in the ER4 XR is removable cords. They use the standard MMCX connector. If that formerly beloved pet chews up your cord, it’s cheaper to replace a cord than the entire earphone! 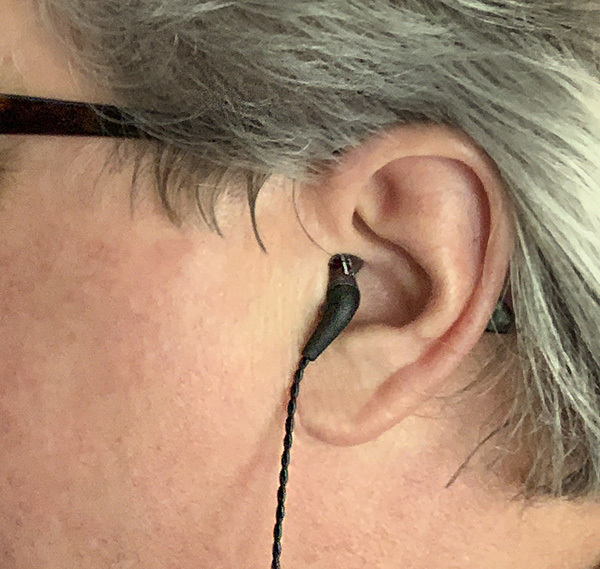 The trick to wearing earphones like the ER4 XR is to push them as deep into the ear as is comfortable. 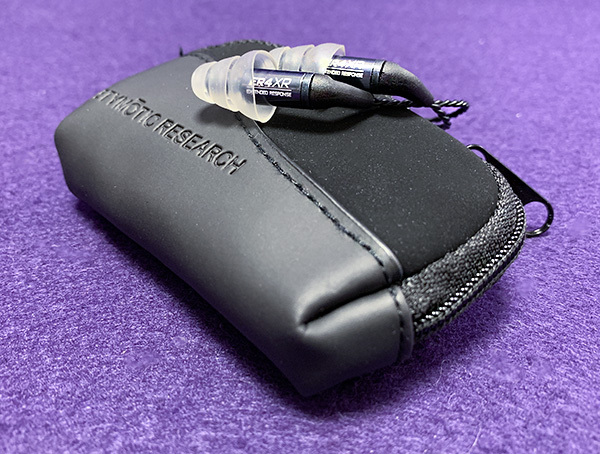 If you do not like anything inside your ear, the ER4 XR (or any other earphone) is not for you. 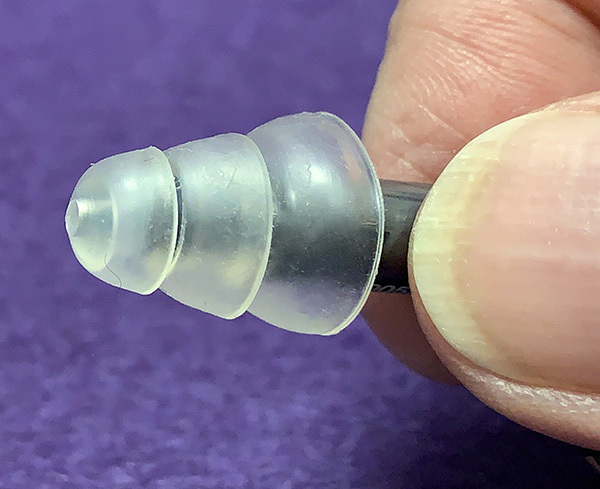 Once inserted, the earphone does its magic with terrific sound reproduction that’s limited only by the music source and the quality of your player. In other words, the better your equipment, the better the sound. It’s that simple. Having said that, I’ve mostly been connecting the ER4 XR to my iPhone with its silly lightning dongle. Lately, I’ve been trying out the new Qubuz hi-res player app and it’s impressive with its built-in hi-res streaming. 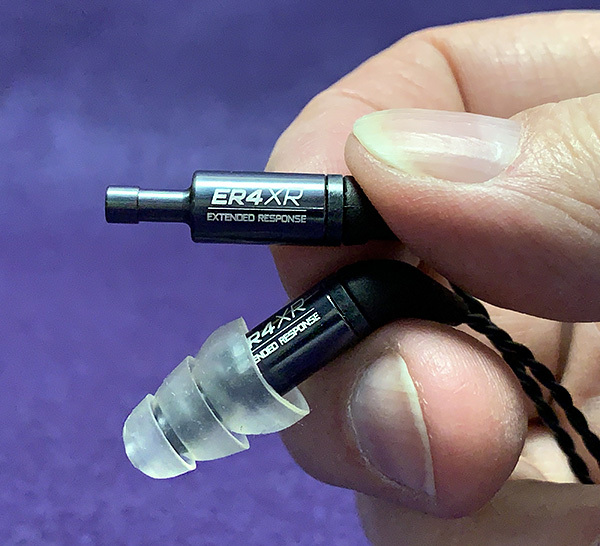 Even though the ER4 XR earphones are sized and built for commuting or portable use, they can easily be used for serious, at-home listening because they are that good. In fact, I encourage doing just that to get the full benefit from them. The ER4 XR earphones are all black and quite narrow, which allows for deeper insertion. The cords coming from the left and right earphone are twisted, but the main cord is not. 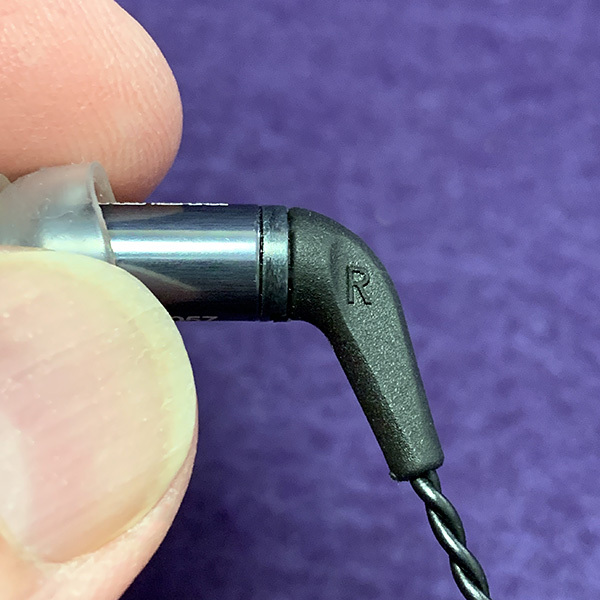 This is puzzling because the ER4 XR earphones exhibit quite a bit of microphonics— that loud, distracting noise you hear when the cord scrapes against clothing or is tapped. Twisted cables can diminish this. I also wrap the cord up and behind my ears which helps quite a bit. I admit microphonics doesn’t bother me all that much, but it does irritate some people. 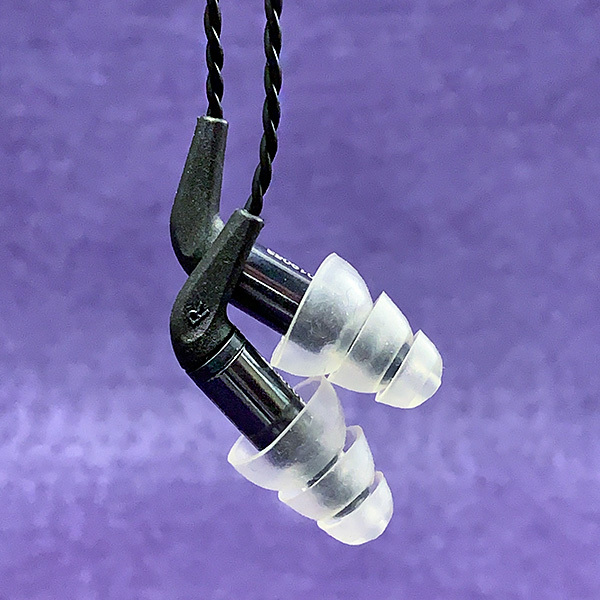 As I’ve said, the ER4 XR earphones are made for accuracy, but until now, I neglected to say they as far as Etymotic is concerned, these are their boosted bass models. I’m not kidding. Etymotic makes an ER4 SR model (same price) with even less bass! I figure that the SR version is made for strictly hard-core audiophiles, which is why I went for the XR version. It’s impossible to talk about audio quality without this caveat: If you consider yourself a bass head, look elsewhere. 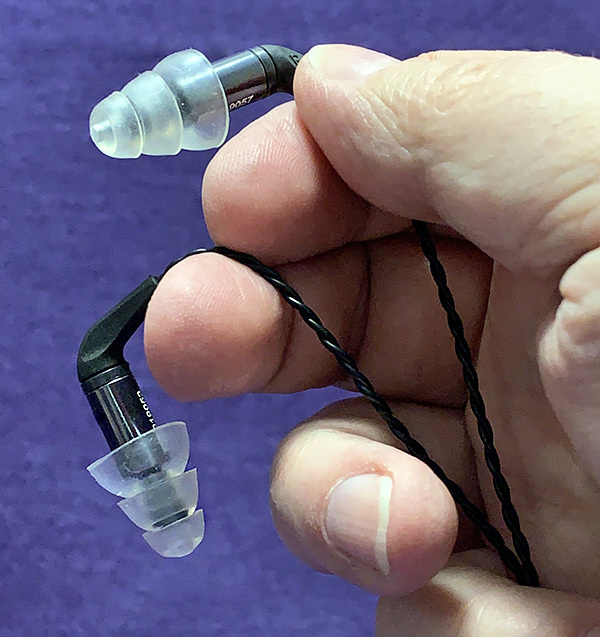 You will be incredibly disappointed with the ER4 XR earphones—or any other Etymotic earphones for that matter. 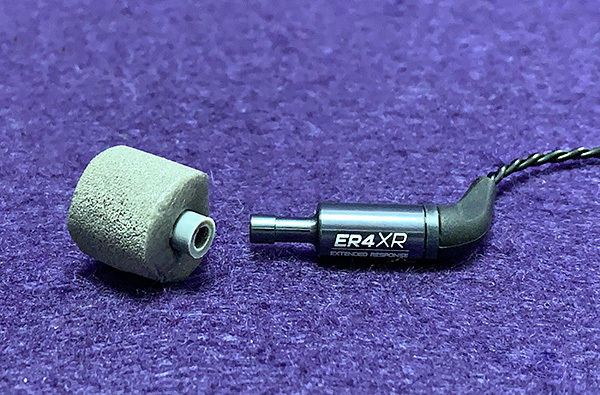 But if you’re curious about how accurate an earphone can be and are willing to keep an open mind (and ears), you may be surprised by the ER4 XRs. Here’s an interesting trick: Use the ER4 XRs for a couple of weeks and then go back to your previous earphones. You may find that they are now muffled and a bit sloppy sounding. The audio quality of the Etymotics can sneak up on you, meaning you my not notice how good they are until you return to your original earphones. Another benefit to listening with the ER4 XR earphones is how they tame many modern recordings with their ridiculous amount of bass. Maybe it’s my age, but I have issues with some modern songs pushing the bass so far into the front that the song will either be unlistenable or induce a headache. The ER4 XR earphones are a perfect antidote for this. Whether it’s classic rock or someone like Massive Attack, the ER4 XR earphones bring out things in a particular song that you’ve either missed or just can’t hear with other earphones. Understand, however, if your music collection consists of lower resolution MP3 songs, the armature speakers inside the ER4 XR earphones won’t improve them. That’s not their job. They can only accurately expose what’s there, both good—and bad. 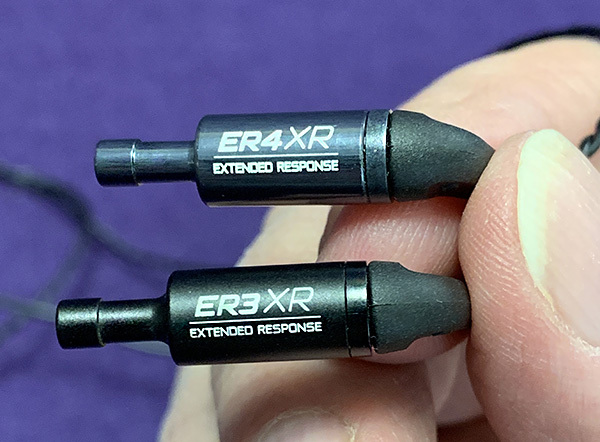 I spoke earlier about the audio difference between the ER4 XR and the less expensive—but identical looking—ER3 XR earphones. 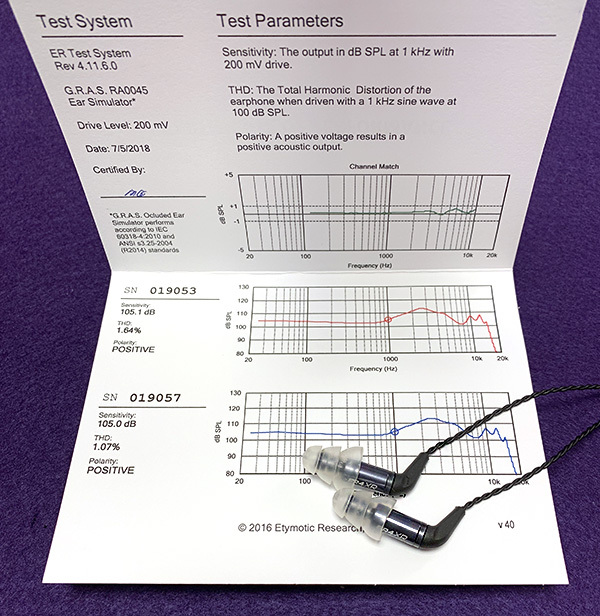 The ER4 XR earphones come with a certificate of Performance. This frequency testing chart makes sure that both the left and right earphone match as close as possible. Each certificate is signed and dated by an Etymotic audio expert. Yes, the ER4 XRs sound a bit more detailed, but I really had to concentrate to notice the difference. The question is: Are the differences between the ER4 XR and ER3 XR earphones worth over $150? Here’s what I recommend. Buy the ER3 XR earphones and use them for a few months. If you’re happy with them, great! 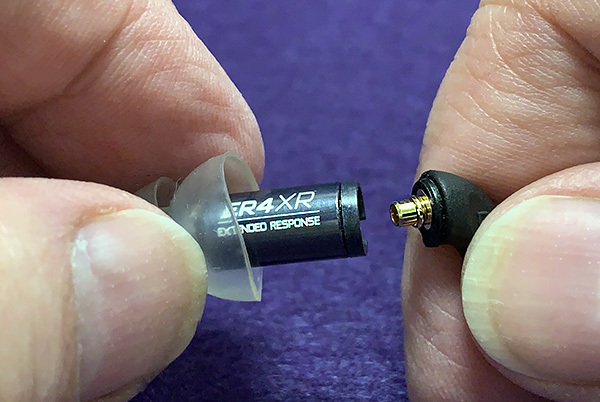 If you feel there might be a bit more to what you’re hearing, then spring for the ER4 XR model knowing the difference will be subtle, but noticeable. It’s a win no matter what. 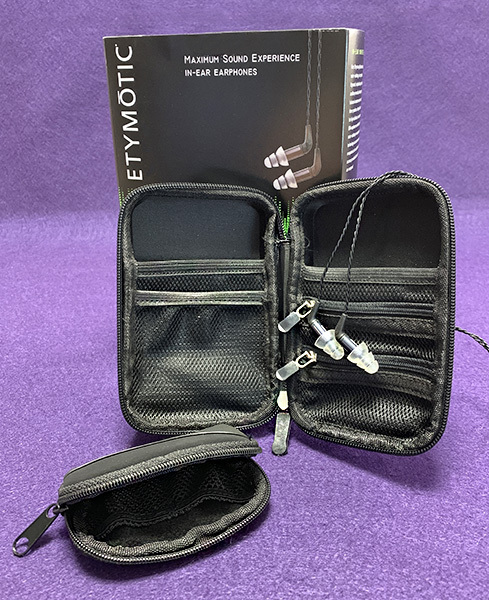 Etymotic first designed the ER4 series of earphones almost 30 years ago and they are still going strong with relatively few adjustments and improvements. That says a lot. Source: The sample for this product was provided by Etymotic. Any audio source more modern than my aging iPod Classic ought to have an equalizer panel, or you can insert one into the audio path with Rogue Amoeba’s or other products. That’ll get you all the bass you want, while also allowing you to switch over to push (midrange) voice frequencies for improved comprehension of speech, that you might want with a sped-up podcast. Most of MY listening is to sources that have carefully balanced the bass with other frequencies, and I long ago moved on from a career in audio engineering, so am happy to have experts attend to these details. Wow, this is cool… not the price though. 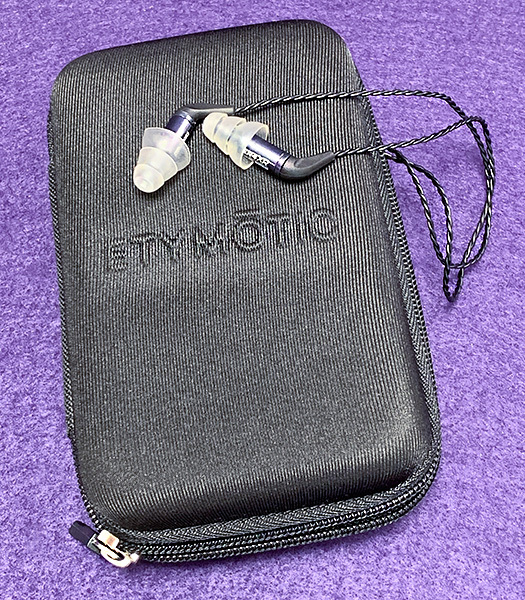 I have two sets of Etymotic earphones and they do indeed provide good audio quality. And they sound great at the less than $100 price I paid. At over triple the cost I would have NO expectations I’d hear 3x better audio quality. While this is NOT a commodity disposable earphone, this pricing exceeded my threshold years ago.